Bragging rights – that’s what you get when you start talking about the fastest car in whatever category it may be. 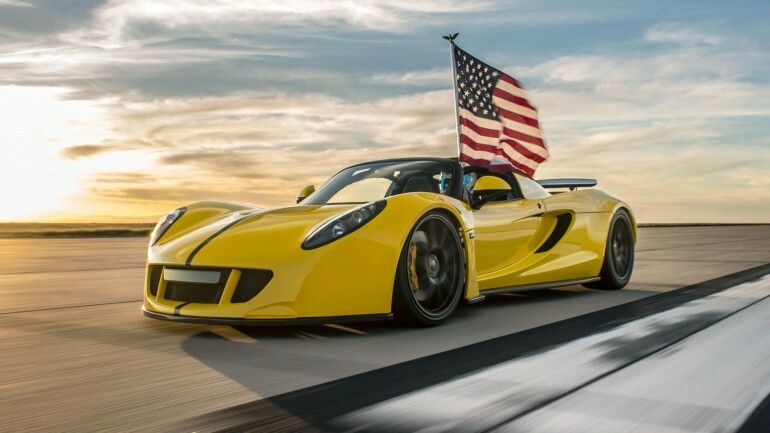 It’s also something John Hennessey and his team has claimed again with a run by the new Hennessey Venom GT Spyder, which hit a top speed of 265.6mph at the US Navy’s Lemoore, California runway at a total of 2.9 miles long. As you may know, the outgoing record holder for the fastest convertible is the Bugatti Veyron Grand Sport Vitesse at 254 mph. 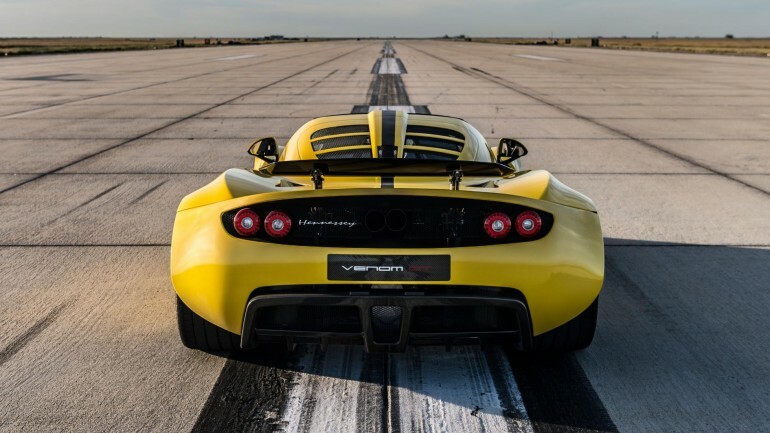 With 1,451 horsepower and 1,287 lb-ft of torque on tap, the Hennessey Venom GT Spyder can reach 60 mph in 2.4 seconds and 200 mph in 13 seconds. John Hennessey and his team doesn’t plan on stopping their literal forward momentum any time soon as they look forward to their newest creation, the Venom F5, with a target of about 290 mph.